Close this window to see the News Archive Menu. Former Sun editor David Yelland has published his first novel (see below) - and it was his English teacher at the then Brigg Grammar School who saw beyond his difficult behaviour, encouraged him to read and gave him the confidence to write. "Mr Harding treated me as if I were the cleverest pupil in the class, even though sometimes my marks were at the bottom, and I started to read ferociously. He would give me small volumes of Dylan Thomas, (Joseph) Conrad and early Philip Larkin." Through his friendship with John Harding's son Tim, David Yelland spent a lot of time in their home, enjoyed access to their books, and appreciated the atmosphere of discussion. "His influence on me was far greater than he would ever realise. I'm still writing, in a small way, to please Mr Harding." One of the best-known Briggensians is former Sun editor David Yelland. Following his editorship of The Sun, David Yelland studied at Harvard Business School and became a PR consultant. He is now a partner at Brunswick Group LLP, a global financial public relations and communications company in London. In 2007, he was appointed a Life Patron of the NSPCC. Having become a heavy drinker during his career in journalism, Mr Yelland was saved by rehab in 2005, shortly before his ex-wife, Tania, died of cancer and he was left to take care of their young son. 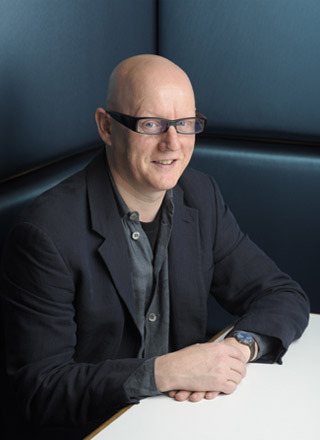 Now he has written a debut novel for children which aims to encourage adults and their children to be more open about alcoholism. 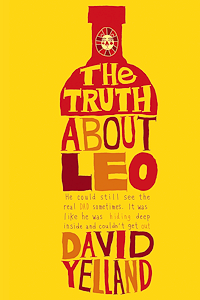 The Truth About Leo tells of a 10-year-old who desperately tries to hide that his father is an alcoholic. David Yelland has said: "I am not the father in this novel, he is the man I nearly was." "Yelland has clear talent as a writer of fiction. The book is a passionate cri de coeur." The book was published by Penguin's Puffin imprint in April 2010. "The album is about drawing on my memories of Family past & present here and in Cuba and the experiences we've been through. with the 1st track 'Familia' (Family) setting the scene and the final track 'Mirando al futuro' (Looking to the future) saying where we would like to be in the future. I would say the album is HEAVILY influenced by Cuban music (Emiliano Salvador, Los Van Van, Irakere) as well as my love of Jazz/Rock (Miles Davis, Weather Report, Lifetime). I wanted to portray all of these throughout the album". 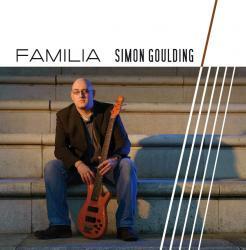 You can hear samples on Simon Goulding's MySpace site and at www.reverbnation.com/simongouldingmusic. The album is on sale direct from the above web site and also from CDBaby and eBay. Mp3s are available from Amazon and iTunes. Give it a listen - you'll love it!